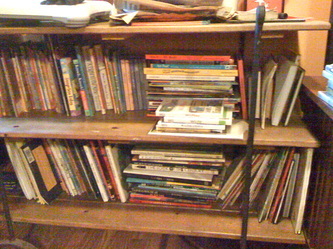 Best Children's Books of 2013, 2014, 2015, 2016 and 2017. 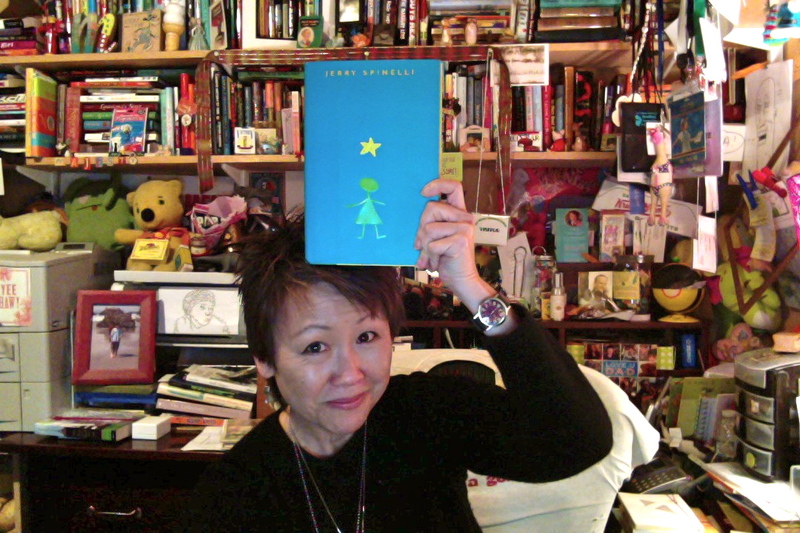 Check out her picks for NPR's Best Books of 2017. 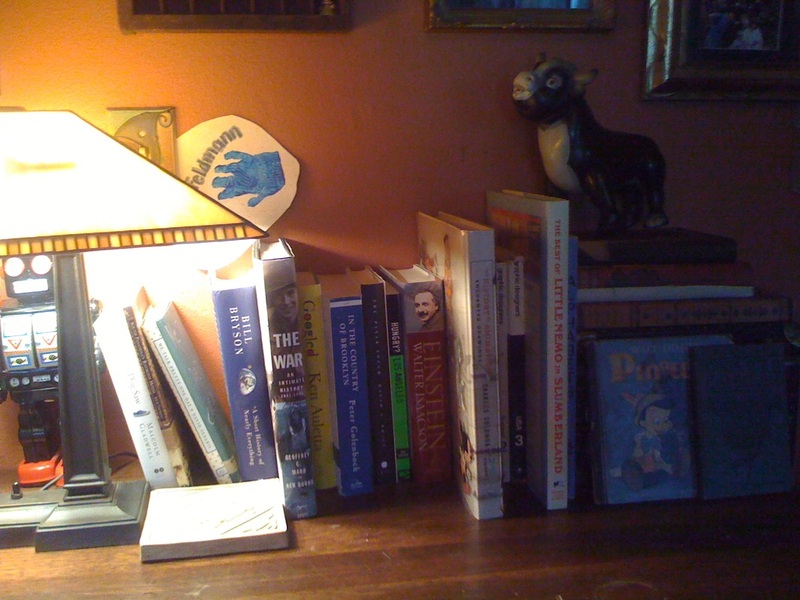 And here are her NPR reviews for Best Books of 2018. 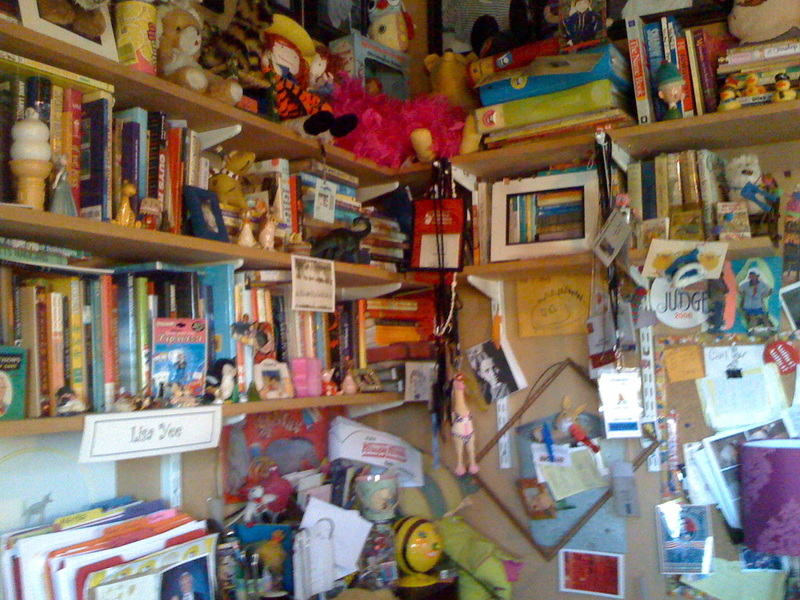 To find out what she picked, and to read Lisa's 2015 reviews, CLICK HERE. 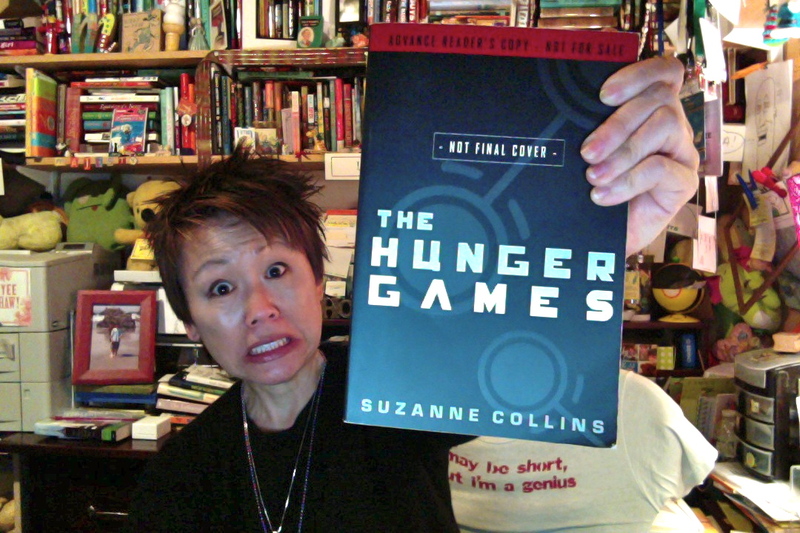 Lisa's NPR Picks for 2016!!! 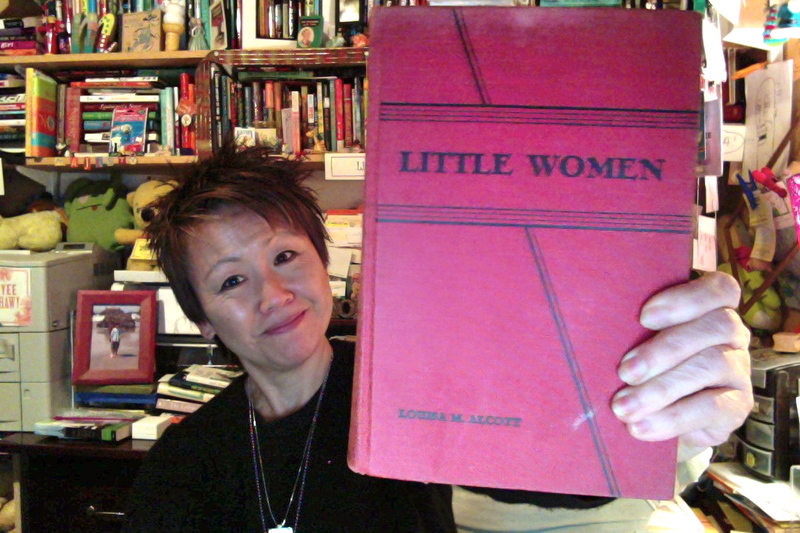 ​For Lisa's NPR 2014 Best Books click on the red . . .
Plus, here are MORE OF LISA'S FAVORITE BOOKS . 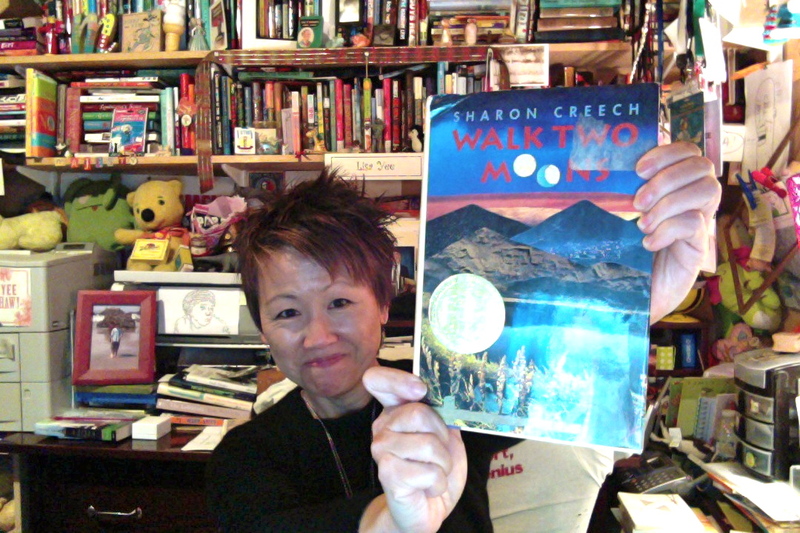 . .
1) Walk Two Moons by Sharon Creech - What a great storyteller Sharon Creech is! 2) Stargirl by Jerry Spinelli - I think we all know someone like her--and maybe some of us are Stargirls. 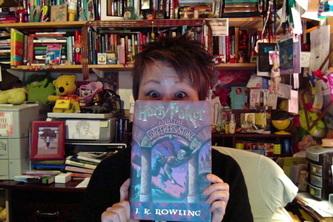 3) Harry Potter series by J.K. Rowling - Enough said. 4) Hunger Games by Suzanne Collins - Wow, this book was a true page turner! 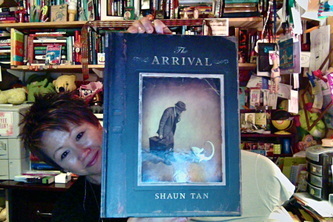 5) The Arrival by Shaun Tan - A brilliant and beautiful novel without words. 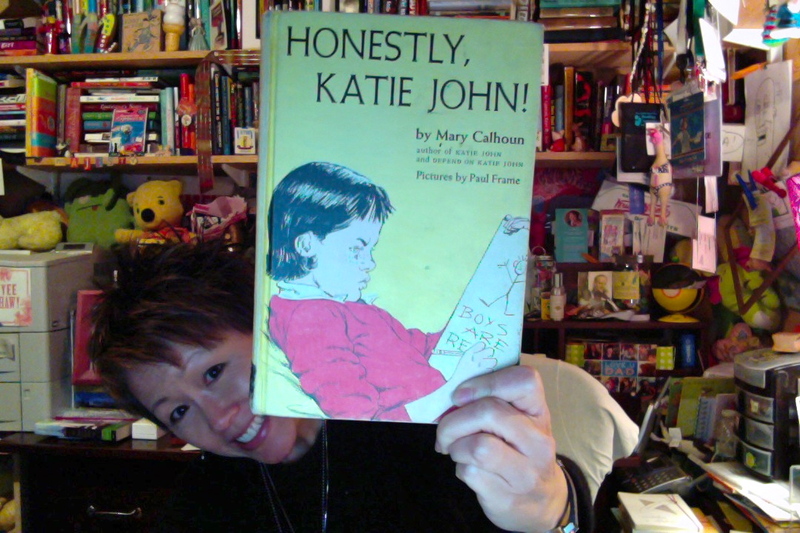 6) Katie John books by Mary Calhoun - I LOVED these stories so much, I named my daughter after the main character. 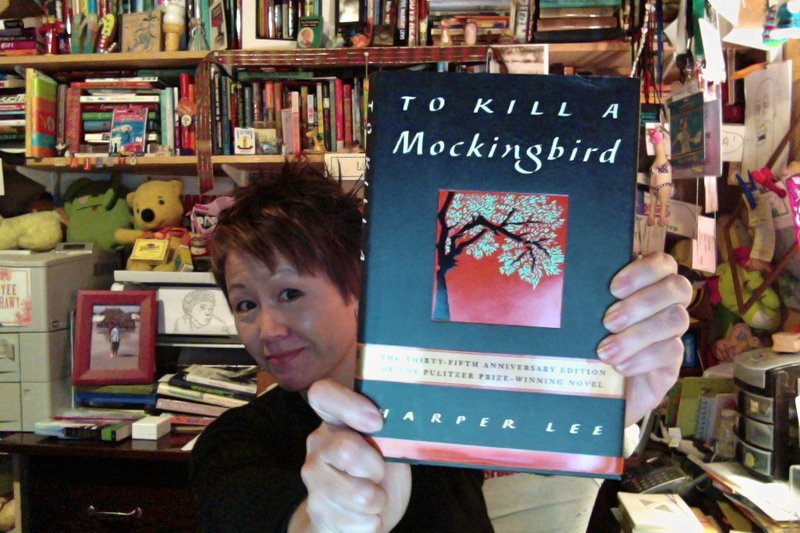 Read what happened when Lisa met her literary hero. 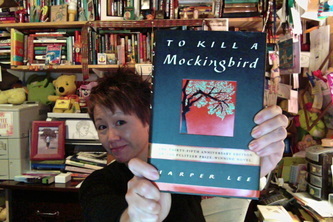 7) To Kill a Mockingbird by Harper Lee - I cried at the end of this book, because I never wanted it to end. 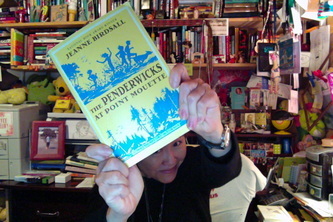 8) The Penderwicks series by Jeannie Birdsall - These contemporary novels read like the classics I cherished as a child. 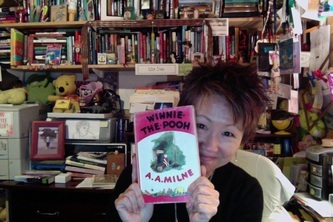 9) Winnie-the-Pooh books by A.A. Milne - See my Winnie-the-Pooh obsession. 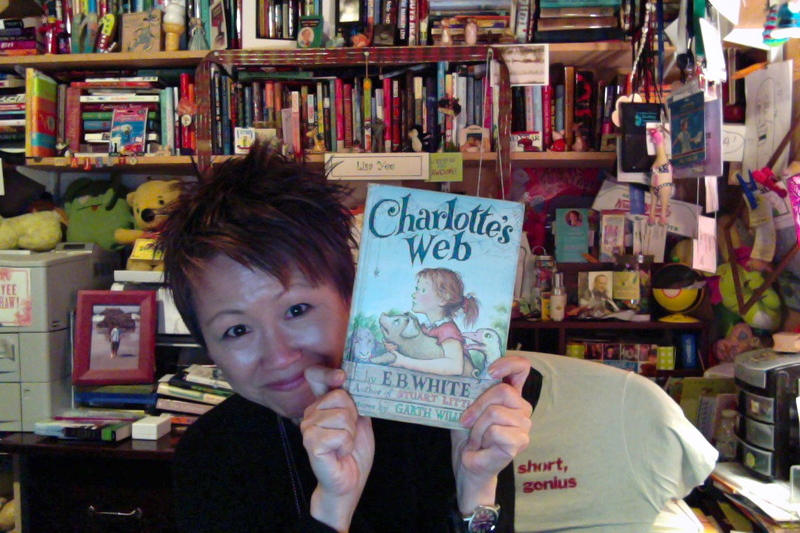 10) Charlotte's Web by E.B. 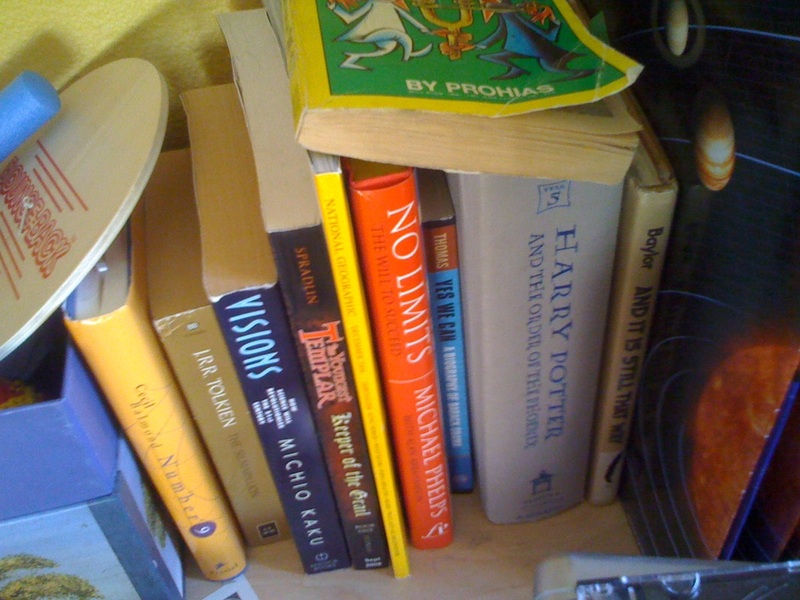 White - Perfect. 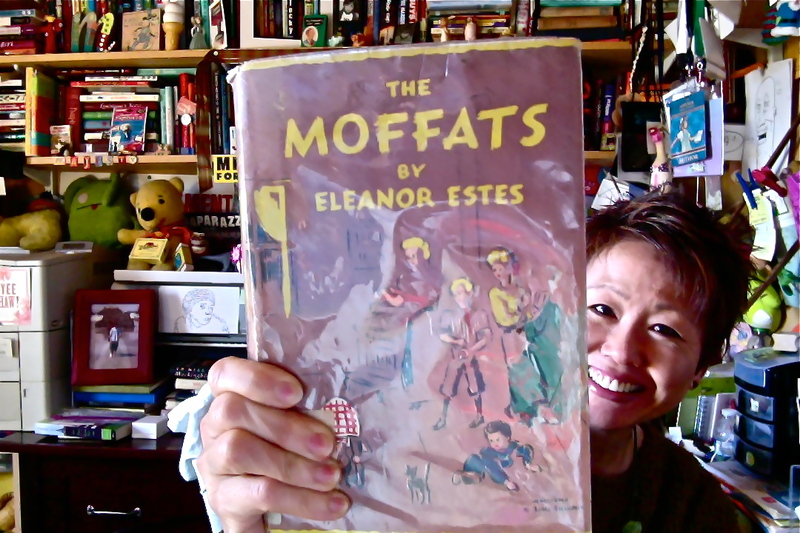 1) The Moffits by Eleanor Estes - What a fun family! 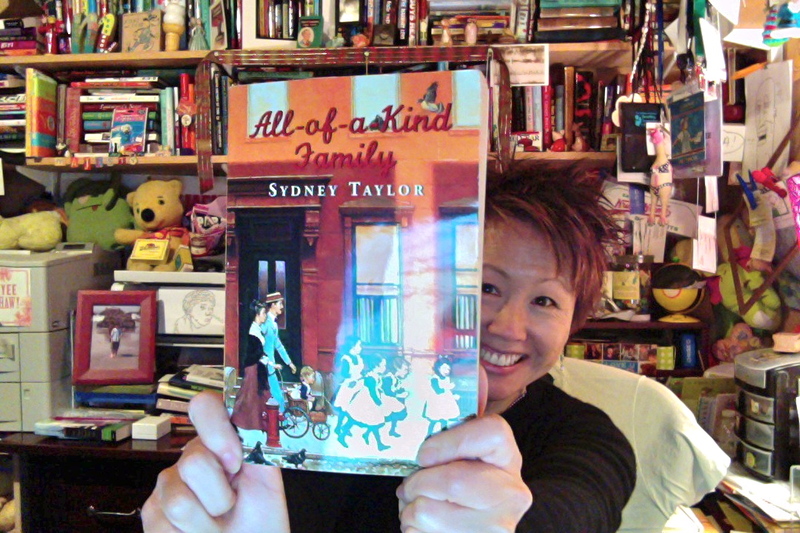 2) All-of-a-Kind Family books by Sydney Taylor - This series of books made turn-of-the century New York come alive for me. It also made me want to be Jewish and have a lot of sisters. 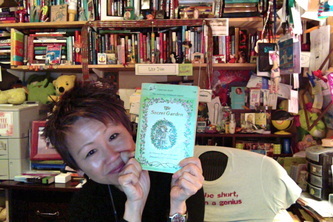 3) Mrs. Piggle-Wiggle books by Betty McDonald - I wanted to hang out at Mrs. Piggle-Wiggle's upside-down house! 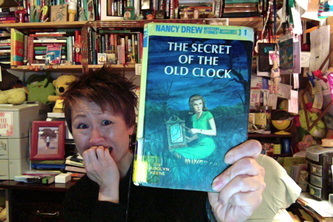 4) Nancy Drew books by Carolyn Keene - This is really bad, but sometimes I couldn't stand it and would read the last page first. 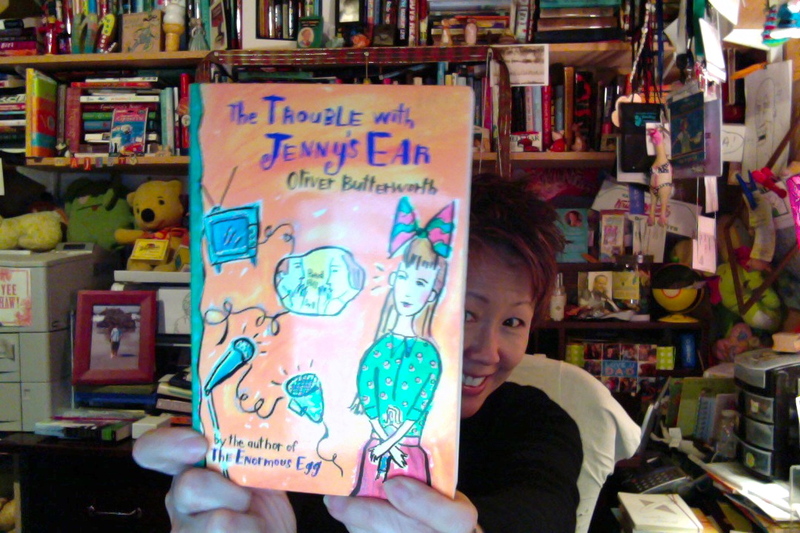 5) The Trouble with Jenny's Ear by Oliver Butterworth - A fun and funny book that I read several times. 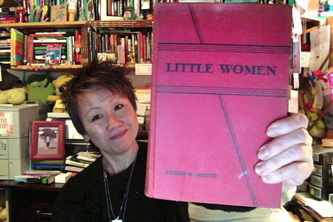 6) Little Women by Louisa May Alcott - I totally identified with Jo. But then, who doesn't? 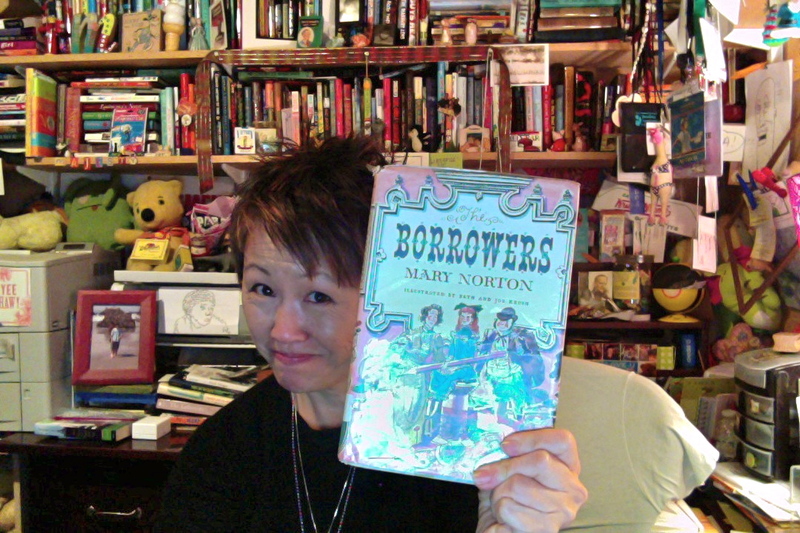 7) The Borrowers by Mary Norton - So enchanting, yet, to me, the Borrowers were so real. 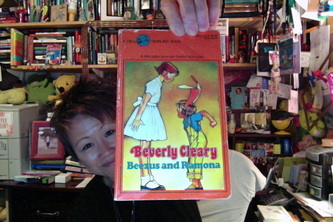 8) Beezus and Ramona books by Beverly Cleary - These books get even better over time. 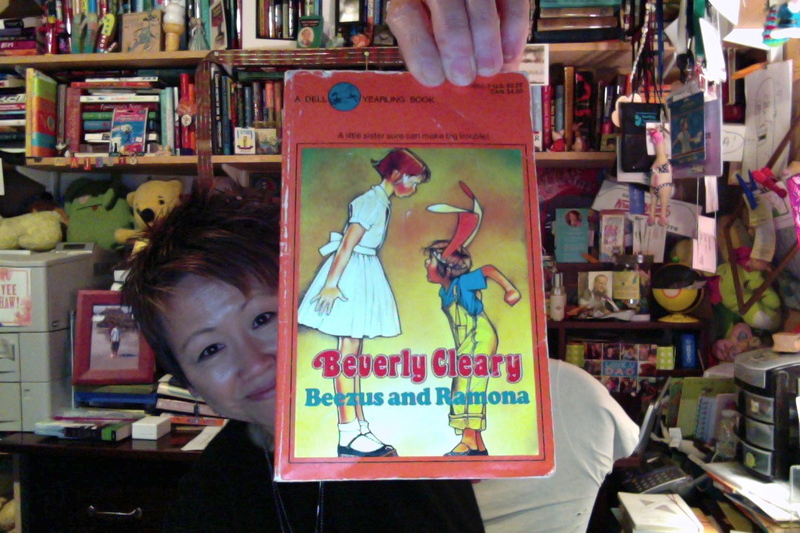 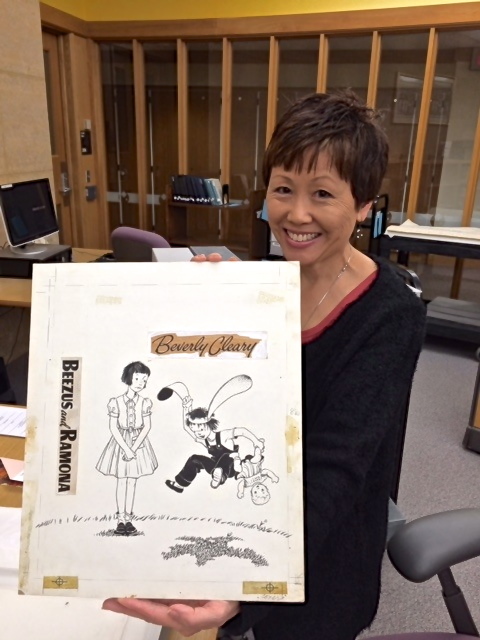 Here's a video of Lisa talking about Beverly Cleary. 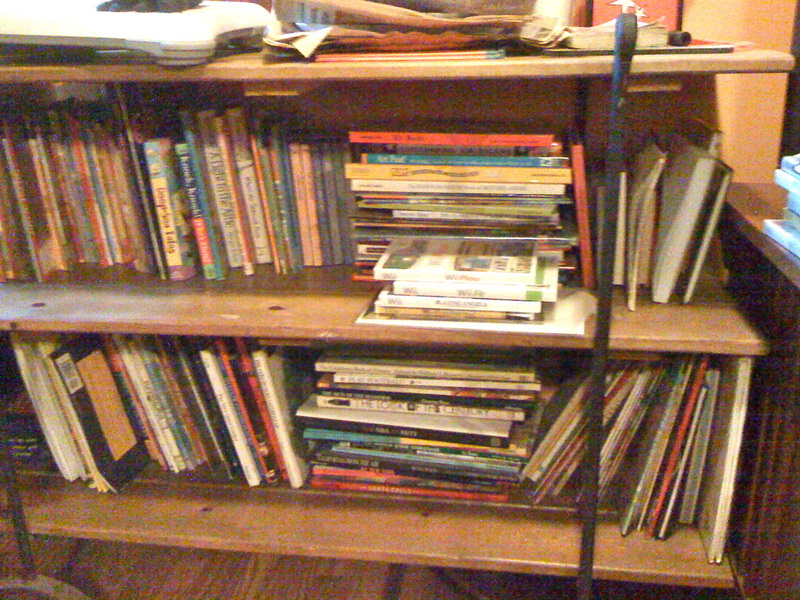 9) Little House books by Laura Ingalls Wilder - I loved reading these on rainy days. 10) The Secret Garden by Francis Hodgson Burnett - Oh, to be transported back to that secret garden! 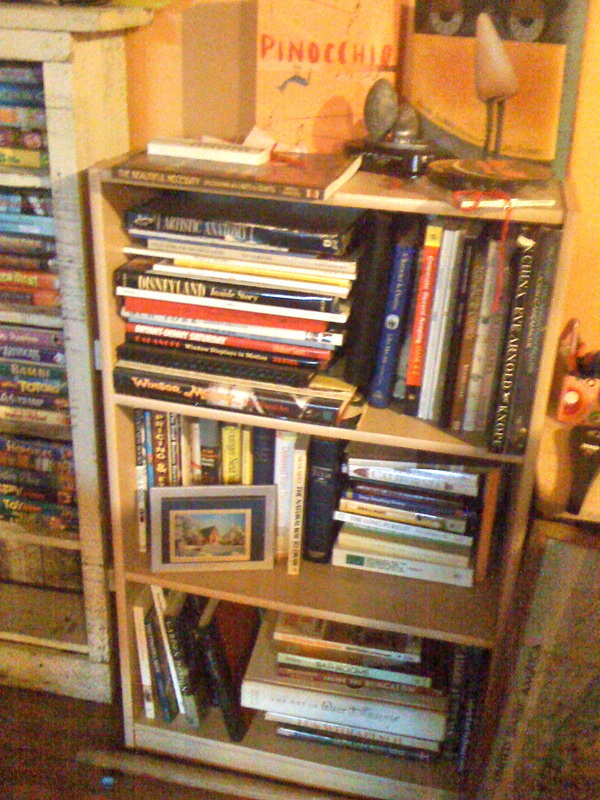 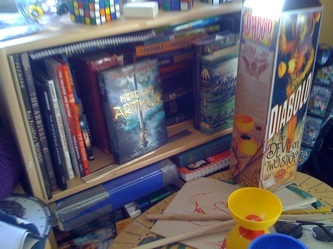 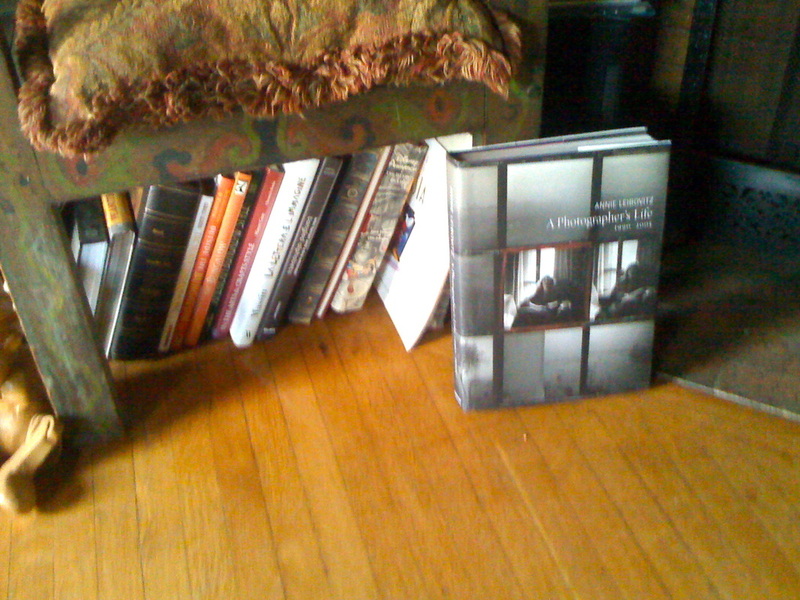 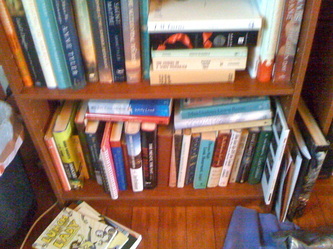 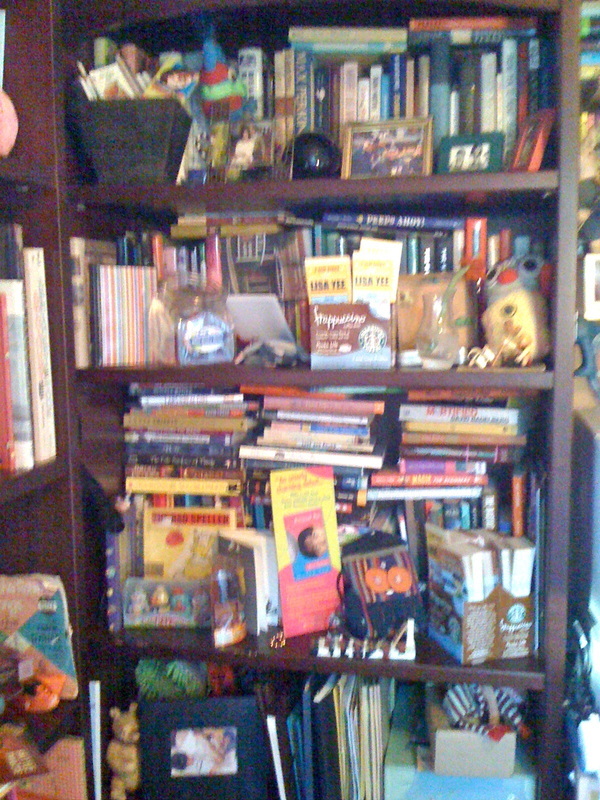 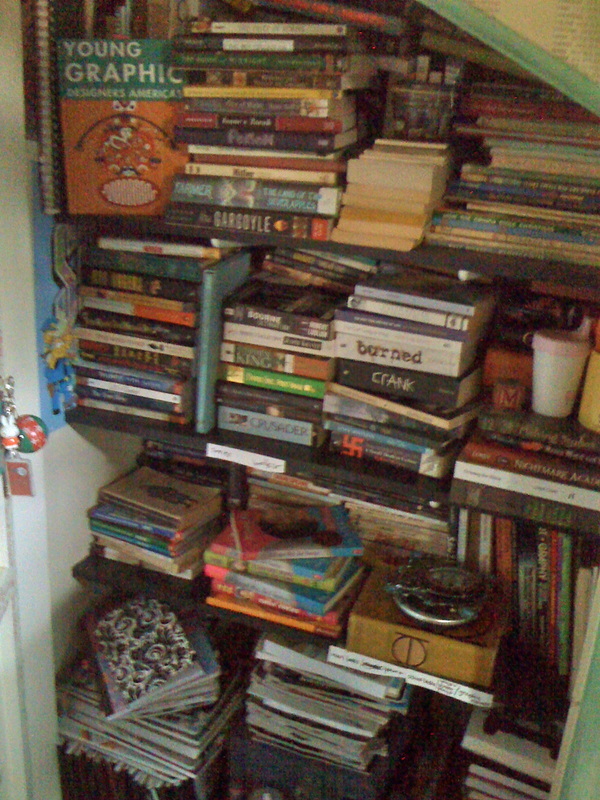 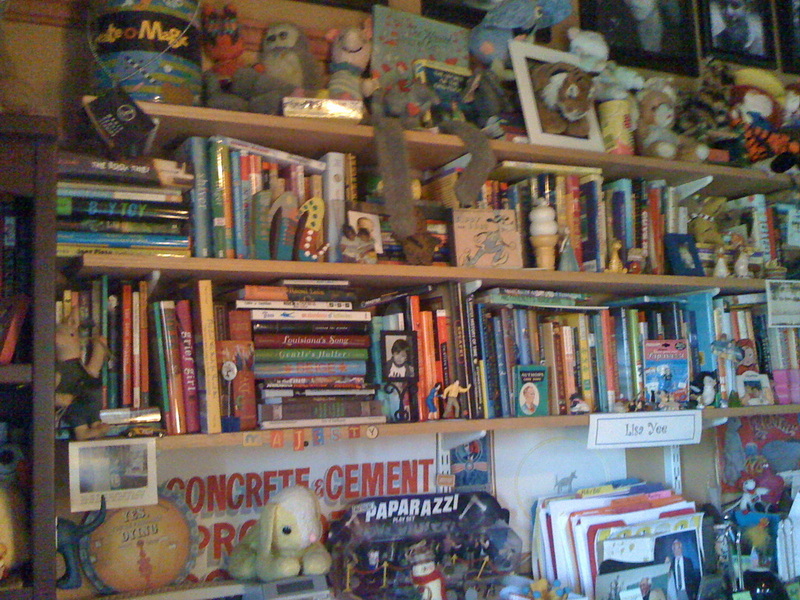 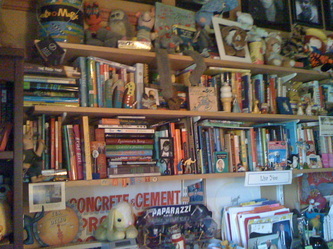 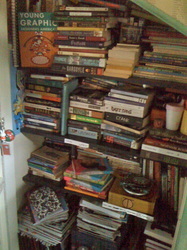 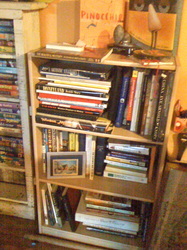 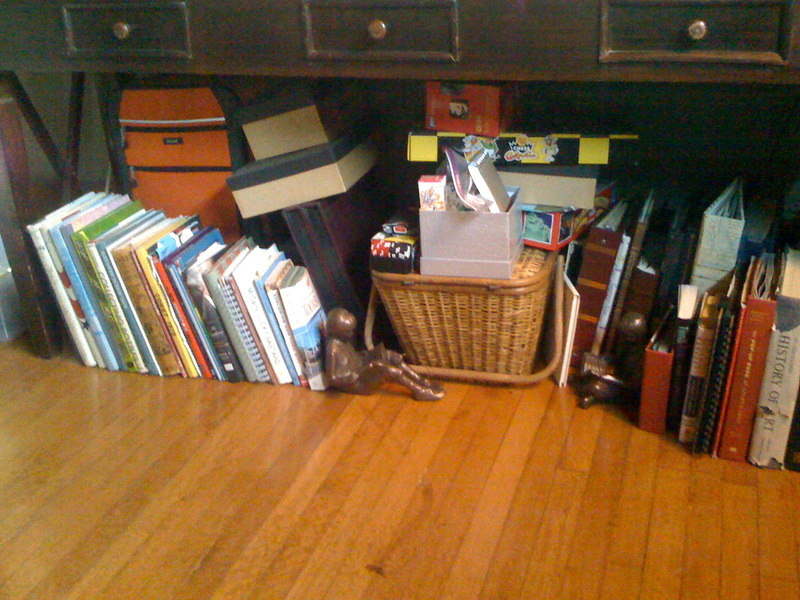 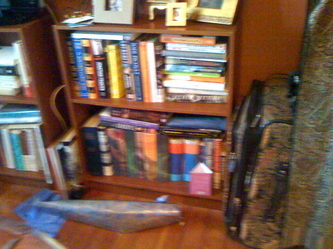 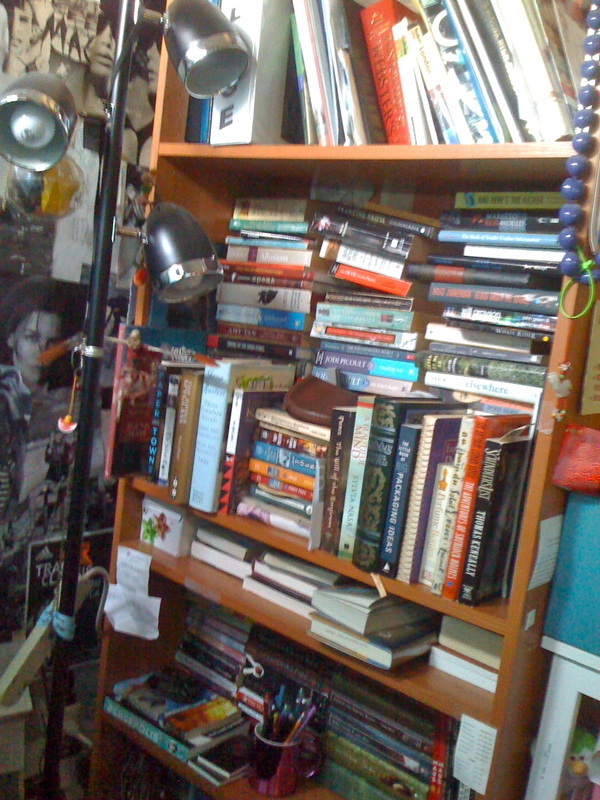 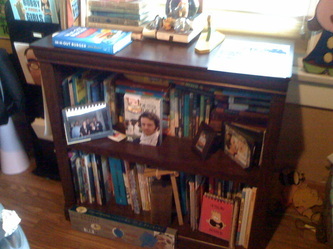 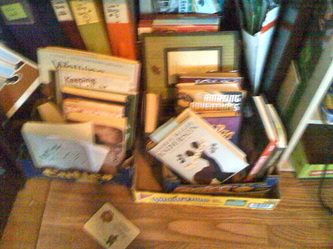 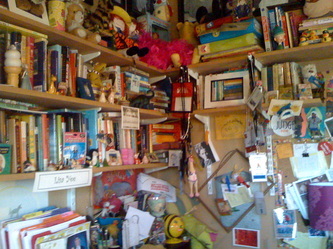 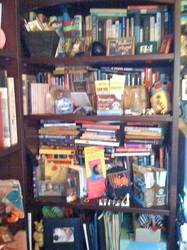 These are a few of the books Lisa owns . . .